Chacras means “old farmhouse” and is also the name of a town in Mendoza’s Central Region. With its thriving restaurants, butcher shops and artisan markets, Chacras de Coria is the area’s cultural hub. Most local winemakers live in Chacras and it is here that they feel most connected to the land and culture. 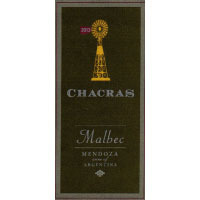 We craft our Chacras Malbec in an authentic style using 100% Malbec. 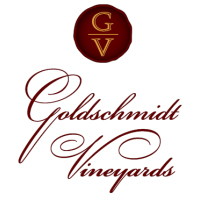 It is the quality and style of wine the local winemakers choose to drink. Bold, spicy and full-flavored. There are no Cote or Bonarda grapes blended into this wine, which is a very common practice in the export market to achieve price points. As a result of being all Malbec, this wine shows sweeter, purer fruit and is less tannin-dry than its blended counterparts. Complexity is really the statement with this wine. When we grow at high altitude two things happen: Lower alcohol and more acidity. The finished wine shows lots of red cherry and blueberry fruits. The vineyard in the Tupungato being a little more fertile gives the weight and density to the mouth. The vineyard in La Consulta with its thinner soils gives us the red fruit and spice. The combination of these two small blocks is one of lifted black fruit aromatics and a mouth that is elegant and long. The finish has the classic Malbec spice with big, full, supple tannins. A wine that will definitely improve over the next 7 years.